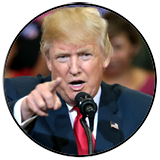 The Internet has become the single most important resource for commerce and communication in the world, and yet it has no police force, no laws that govern how it is established or maintained, thus making online deception child’s play. There are even websites and apps DESIGNED to deceive others and this is all OK with ICANN. (e.g. 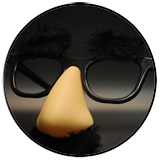 prank call websites and fake email generator websites) In last week’s newsletter we lamented how ICANN negligently governs the Internet’s domain naming system. In our opinion, their lack of effort to create sensible rules designed to protect people and hold Registrars accountable means that innocent people are targeted and hurt every day by online criminals. 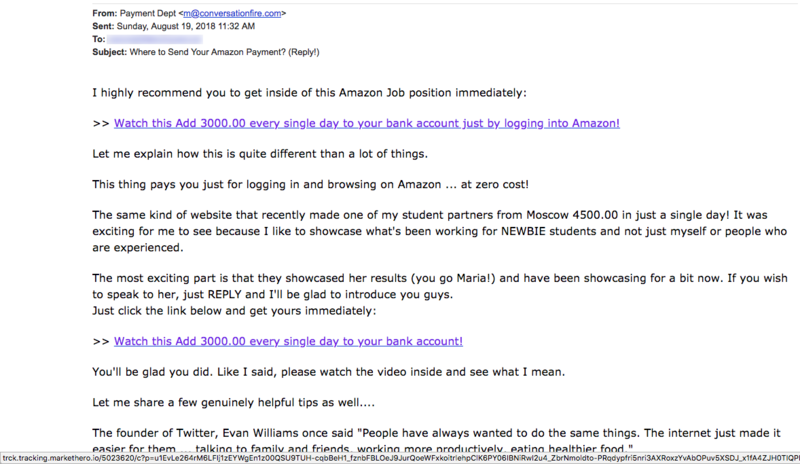 Just a few days ago we heard from a woman who was financially and emotionally impacted by this ease of online deception. We’ll call her Clara to protect her identity. 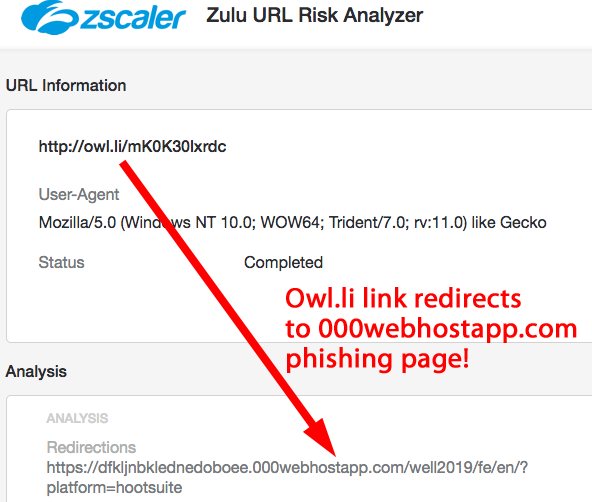 The Zulu URL Risk Analyzer shows that this shortened link redirects the visitor to a web page located on the free web hosting service called 000WebHost.com. You can see a screenshot below of this fake Chase Bank page. It looks very professionally created. 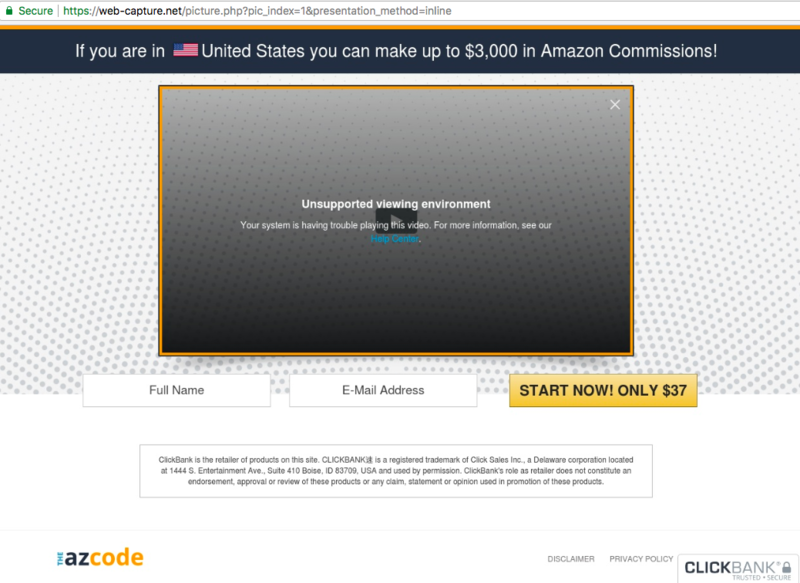 We found only one small grammatical error on the phishing page. 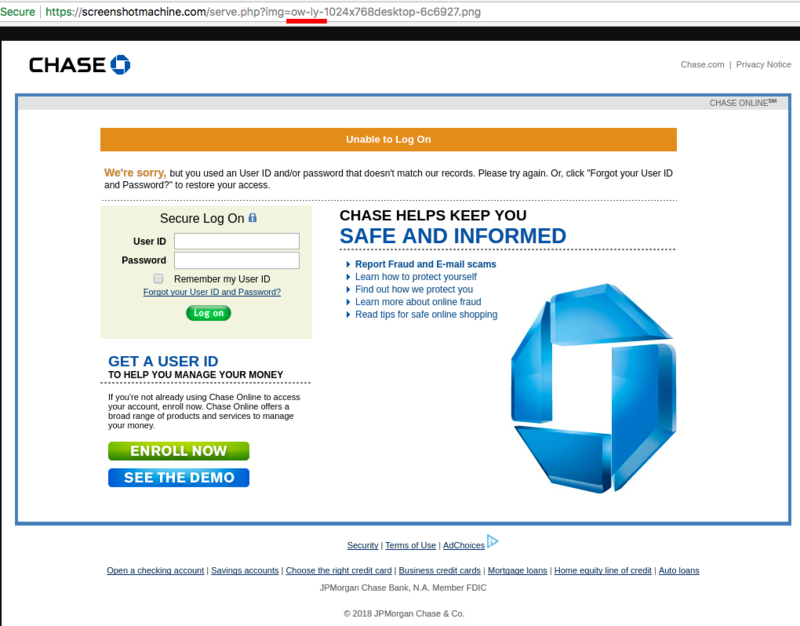 Just like the Chase Bank scam above, this Ow.li link points to a phishing page at 000webhostapp.com. 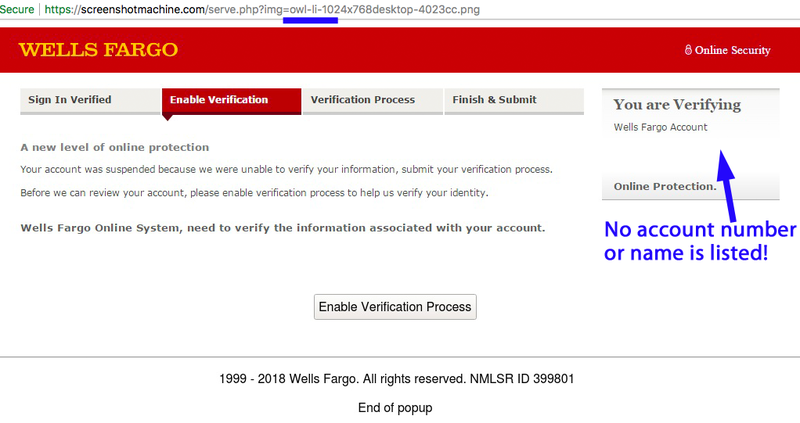 Look at the phishing page and you’ll see that it doesn’t identify the account owner or account number, as well as the fact that visitors are not on WellsFargo.com. 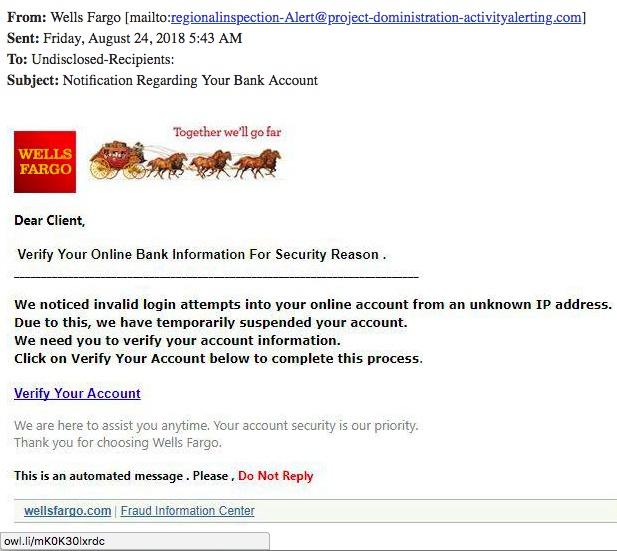 Finally, we leave you with this last email, like the first, but pretending to be from Bank of America, contacting folks about suspicious activity on their accounts. Once again, the link is through Ow.ly. 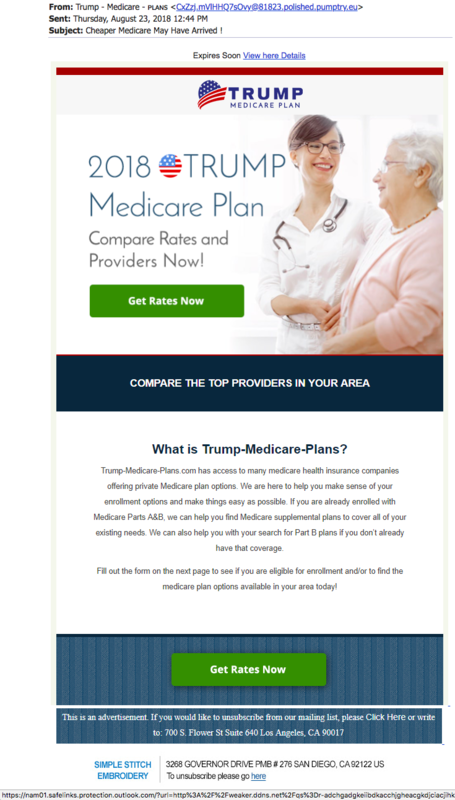 This next email from a domain called ConversationFire[. 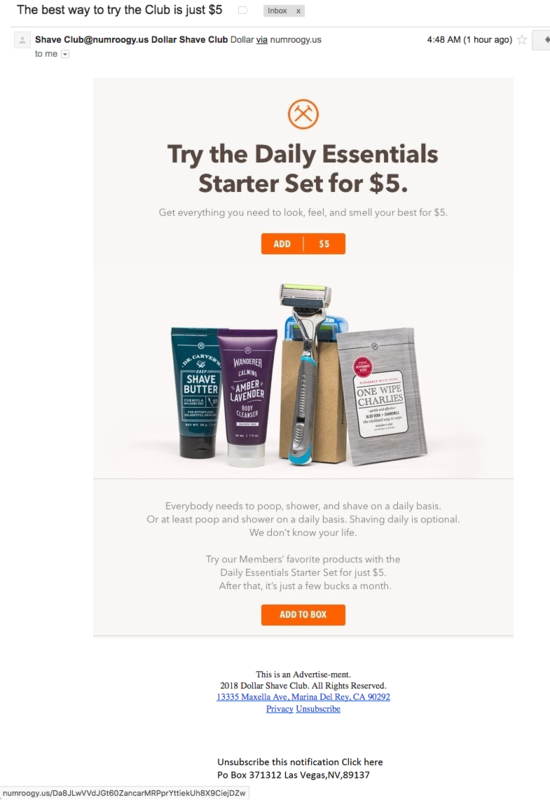 ]com falls squarely in the category of “if it seems too good to be true, it is.” According to the sender, you can make about $3000 every day just by logging into and browsing Amazon. But to find out how, you’ll first have to pay $37. Ray Ban and Oakley Sunglass sales have often been used as clickbait to malware and we’ve reported on many of these malicious ads in the past. Here’s one more. 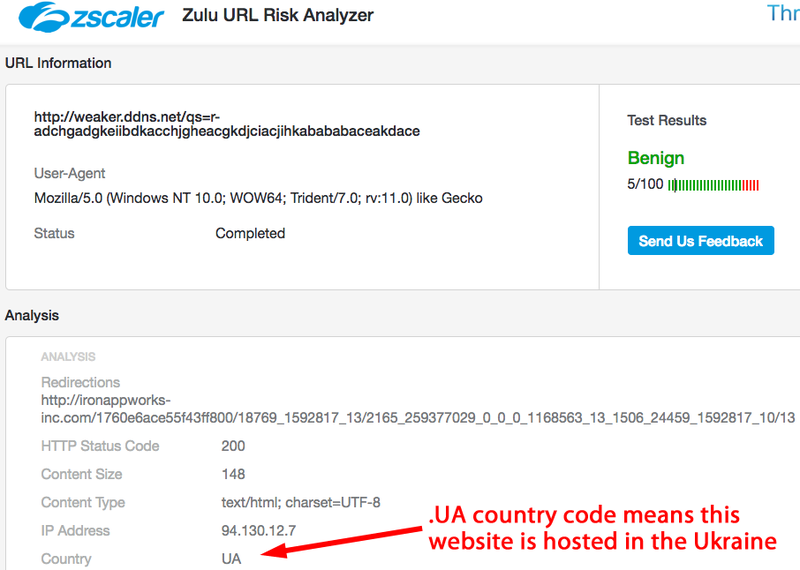 The Zulu URL Risk Analyzer scores the website as 90% chance of being malicious. How do you like those odds? By the way, Microsoft changed their Outlook.com link structure in early October, 2017 specifically BECAUSE they wanted to make it harder for criminals to misuse their services. However, LOTS of people complained that it actually made it easier for criminals to misuse their links and target Outlook users. You can read some of these complaints in a Microsoft Community blog from last October. 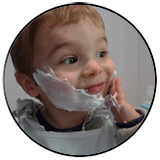 DDNS.net is a dynamic service that can redirect links anywhere in the world in real time, depending on the account holder’s preferences. When we asked the Zulu URL Risk Analyzer to review the full redirected link hidden after the opening safelinks.protection.outlook.com. 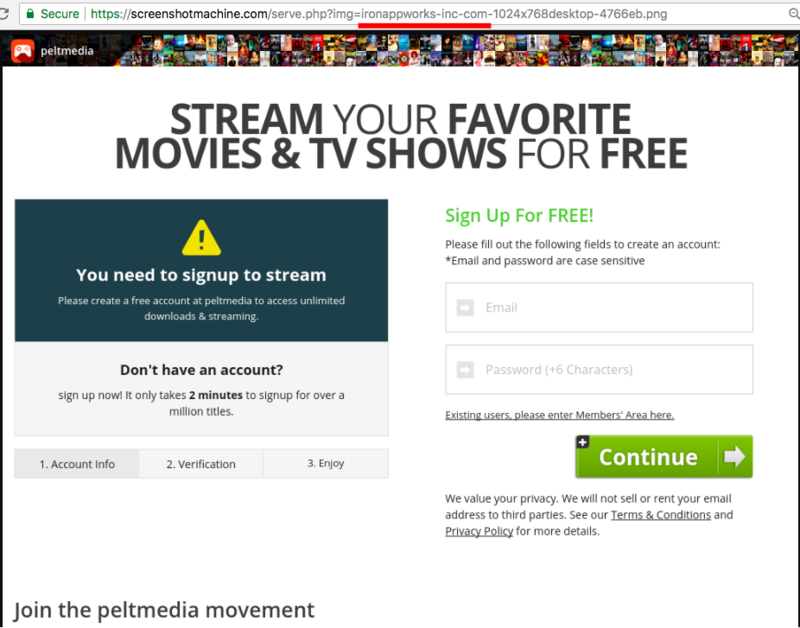 Zulu informed us that the redirected link weaker[.]ddns[. ]net will send us to a website located in the Ukraine (“.ua” = 2-letter country code for Ukraine) called ironappworks-inc[.]com. To be completely honest, we have no idea exactly what the danger is here. But we know this is not what it appears to be and is malicious! 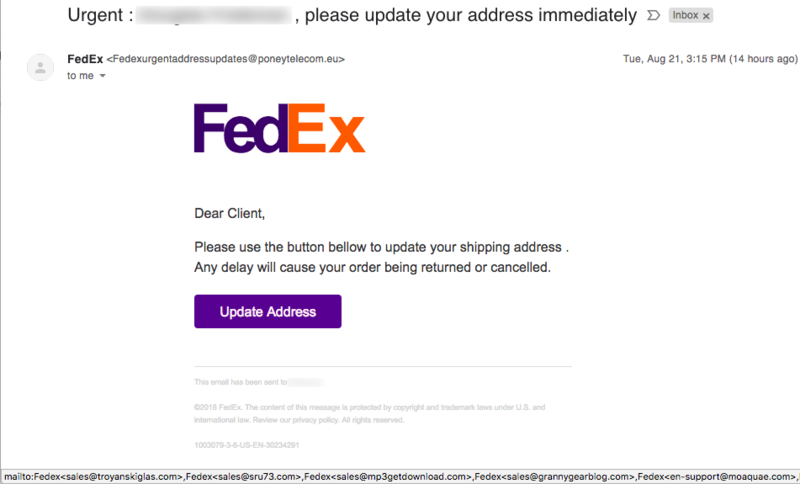 “Urgent: [NAME REDACTED], please update your address immediately” says an email from Fedexurgentaddressupdates “@” ponytelecom[.]eu. Clearly this is not from fedex.com! Buried in the link for “Update Address” are eleven bizarre email addresses that would all receive the information you send it. (See the mouse-over revealed at the bottom of the email.) None of them are for the domain fedex.com.